RIP "The Lost Fan Blog"
Jack and his fellow castaways begin their efforts to make contact with Naomi's rescue ship. 1. Both this season's premiere, "A Tale of Two Cities", and the finale, "Through the Looking Glass" are book titles. I'm not going to make any predictions or share any rumors. There'll be plenty to talk about afterwards. Enjoy the two hour finale! Jack devises a plan to do away with "The Others" once and for all, Sayid uncovers a flaw in "The Others'" system that could lead to everyone's rescue, and Charlie's dangerous task may make Desmond's premonition come true. 1) The episode title, "Greatest Hits" refers to an album containing a band/artist's top songs, usually after a member(s) of the band or that artist dies. With Charlie being a member of the band Driveshaft, you can see the connection. 2) We already had an episode that teased us from the opening scene that Charlie would die, but he survived in the end. If he doesn't die in this episode, it will be as if we've seen it all before. 3) The "epitaph" in the episode description..."Charlie's dangerous task may make Desmond's premonition come true." In last week's episode, "The Man Behind the Curtain", Ben appears to be speaking to an empty chair, where Jacob should have been sitting. Locke is skeptical about the situation and has started to think Ben is crazy. You heard the "Help me" line and Jacob's wrath throughout his little hut, but perhaps you missed the screen flashing for a short second with the above image, which is likely of Jacob himself. Why does Jacob only appear for a second? Why does he say "help me"? The image we have of him leaves many possibilities. It's hard to tell whether he most closely resembles Alvar Hanso, Locke, or any other character one could make an argument for. It's been reported that "Lost" will end in 2010. "...with the answer-filled season finale May 23, viewers 'will begin to get an idea of what that design will be, and it will not be at all what they expect.'" "the last five minutes of (this month's) finale are going to seal our fate." There are pros and cons, but overall this will end up being a good decision. If they revert to the 9:00 slot, "Lost" is set for the next three years. Ben begrudgingly begins to introduce Locke to the secrets of the island, beginning with the mysterious Jacob. Ben unwillingly divulges information to Locke about the island, taking him on a journey to various locations including strange monuments and the mysterious Jacob. Back at the beach, Juliet's secret is revealed. 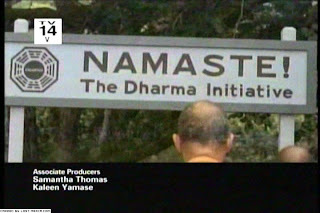 Flashbacks will show us the origins of DHARMA and the history of the island, including 'the purge'. I love the allusion in the title of this episode, likely referring plot-wise to Jacob. This isn't the first time "Lost" has given a nod to "The Wizard of Oz". If you recall, Ben called himself Henry Gale, a name he stole from a dead parachutist in the show, and a name the writers borrowed from the movie. Also, the episode will be Ben-centric and Mikhail is supposed to have an appearance. "It's that time again. 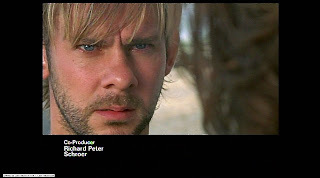 In anticipation of the Lost season finale, a special called Lost: The Answers is scheduled to air twice this month. The special will be similar to Lost: Survivor Guide, a clip show that aired before the winter premiere. Executive producers Damon Lindelof and Carlton Cuse will co-host the show, which will "recap the secrets that have been revealed, as well as those that remain unanswered." The special will air on May 17th at 10PM ET and May 23 at 8PM ET on ABC. 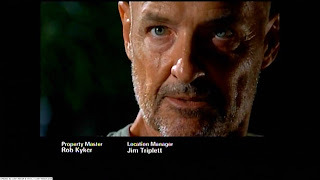 Locke tries to persuade Sawyer to help rid them of a great nemesis, and the survivors learn some shocking information about Oceanic Flight 815. Could the Others have created some sort of decoy crash? This seems far-fetched, but with money and connections, they could have faked it or had a false news story leaked. It wouldn't be as hard to stage if "all the bodies and most of the plane were destroyed by fire." Of course, the thrilling far-out sci-fi twist would be to have the outside world exist in a different future, one where the people on Flight 815 didn't survive...This becomes very confusing when you consider it. Check out the new Official Lost podcast! 04.30.07 - Executive Producers Damon Lindelof and Carlton Cuse conceptualize "D.O.C." and look forward to what's in "The Brig" (5/2/07).